I've been making a list and checking it twice and I have been a bit naughty, much also very nice. I am really excited to link up with The Primary Pack for their BLACK Friday Linky Party and giveaway! I did put together a wishlist of my own that I may purchase on BLACK Friday! Here are some ideas for your Black Friday Shopping...See anything that you like? Check out my store at The Science School Yard TPT Store. Things on my wishlist...clipart, science, and melonheadz! 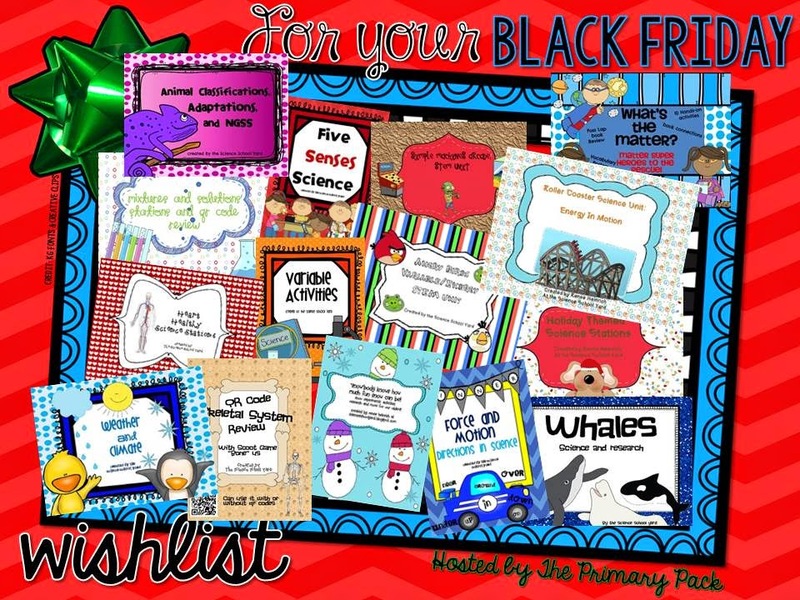 Check out my store for some great Black Friday Deals at The Science School Yard TPT Store! Don't forget to enter The Primary Pack's Giveaway HERE!